Link to Up the Wreake! Commununity Magazine for the Upper Wreake. The magazine provides an open forum for contributions on all aspects of life in the Upper Wreake villages and beyond. Wednesday, 24 April 2019 at 19h30. will be giving a presentation. Mick Smith returns. Raconteur, Rock and Roll and good country music . At £12 for all advanced reservations (£15 on the door). Secure your booking…Call John on 07703 648007. Frisby on the Wreake is a small village on the Upper Wreake Valley off the main A607 road four miles west of Melton Mowbray in Leicestershire. 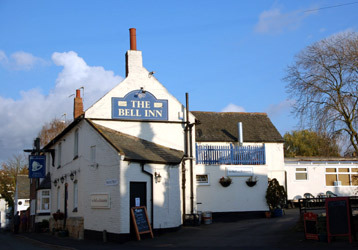 It has around 600 inhabitants and consists of 240 homes, a Primary School, a Church of England Church, a Methodist Chapel, Village Hall, a Village Shop and Post Office and a Public House called The Bell. It is an attractive and pleasant village, parts dating back to mediaeval times. It still retains many of the best attributes of English village life. The community is thriving despite its small size, sustaining a range of activities and social groups surprising in its diversity and number. If you visit this site and would like to know have more details on any subject or have any questions relating to the village or its inhabitants, please contact us by e-mail . We will try to answer your queries or put you in touch with someone who can.